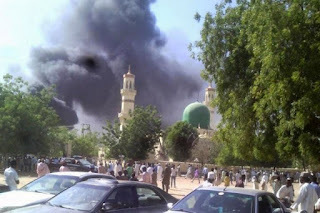 Attempts by suicide bombers to attack a mosque and a security post in Borno State have been foiled by vigilant security men and volunteers. The incidents occurred at Usmanti and Kaleri area of Mafa Local Government Area of Borno State, PRNigeria reports. The first attack occurred just after midnight of Wednesday morning when the suicide bomber targeted a security outpost in the area but was quickly spotted and blown off after a shot from security men. No casualty was involved except the male suicide bomber. 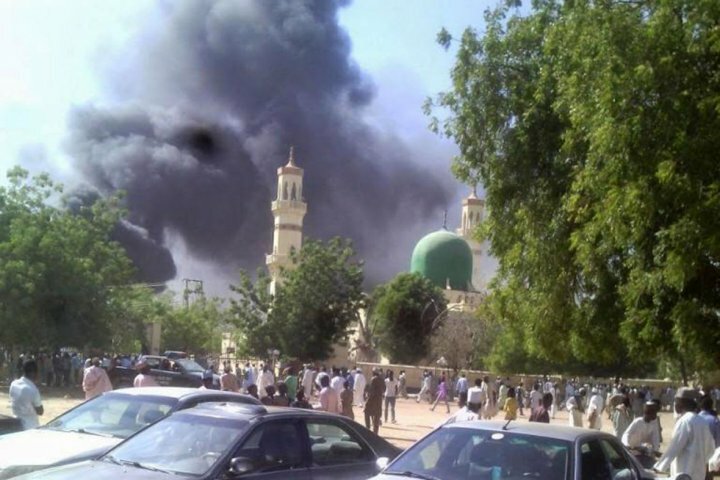 The second attempt occurred during the early morning prayer at 5:30am also on Wednesday when two suicide bombers, a male and female, attempted to enter a mosque while prayer was on. They were spotted by security volunteers (Civilian JTF) who accosted them. The terrorists detonated their explosives which killed them on the spot and one security volunteer. Two other people were injured. Meanwhile the Spokesperson of National Emergency Management Agency (NEMA) in the North-East, Abdulkadir Ibrahim confirmed that rescue workers have evacuated the bodies to mortuary after the incidents.